Richard Heathcote/Getty ImagesTiger Woods came up just short at the PGA Championship. Tiger Woods once again challenged for his first major championship in ten years when he finished second at the PGA Championship. Woods was within one shot of the lead on the back nine but lost his best chance to win or a force a playoff when he failed to birdie or eagle the easiest hole on the course. Tiger laid up on the short Par 4 11th hole and then had his long birdie putt come up a hair short. Tiger Woods did not win the PGA Championship and when he thinks back at what could have been, he will have nightmares about hole No. 11. Woods shot a 6-under 64 in the final round to finish 14-under overall, but came up short, finishing in second place, two strokes behind champion Brooks Koepka. Woods’ score could have been even better if he had not shot par on the easiest hole on the course. 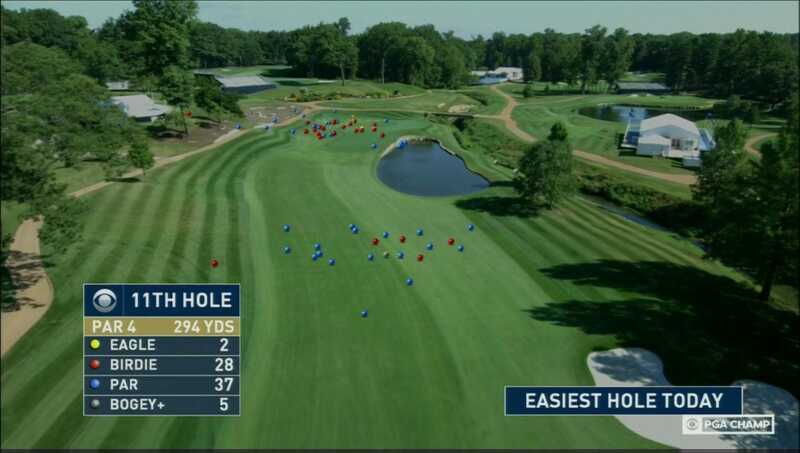 The Par 4 11th hole at Bellerive Country Club in St. Louis was playing just 294 yards in the final round, tempting most golfers to shoot for the green on their tee shots. As a result, the hole was the easiest of the final round, with players averaging 0.35 strokes under par and also scoring the only two eagles on Sunday. Tiger’s failure on the hole began when he decided to play it safe. Despite the hole playing under 300 yards, Woods decided to lay up and not risk hitting into the water to the right of the green. Most of the golfers chose to go for the green, not concerned with the pond as there was a safe area to the left and behind the green. Among those who laid up, it was clear that a vast majority of them were forced to settle for a par. To make matters worse, Woods then missed the hill behind the hole to the left on his approach shot. As a result, his ball did not roll back to the hole, leaving a long birdie putt. Woods still had a shot at birdie, but this is where he was unlucky. 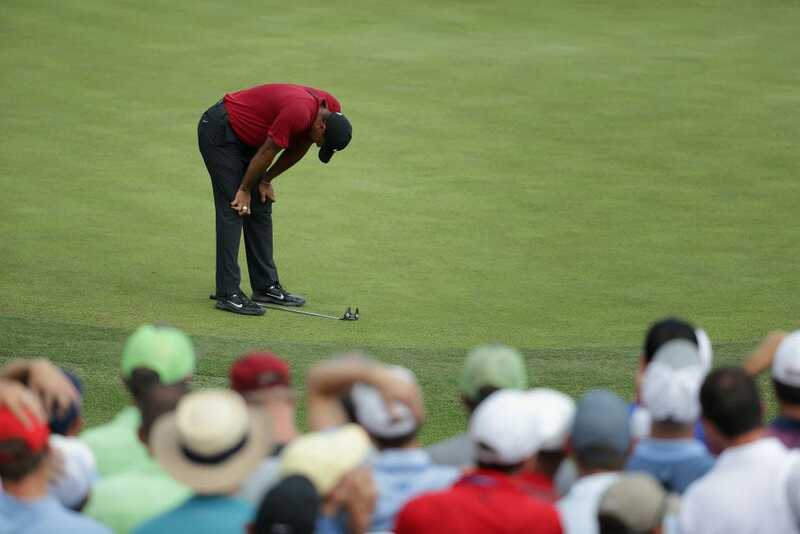 Tiger’s 28-foot putt came up less than a quarter-turn short of the hole. Even the announcers thought it would eventually drop. It did not. Woods would eventually get back to within one shot of the lead, but he was forced to play aggressively over the final four holes and fell off the pace. If Woods could have birdied – or even eagled – the 11th hole, it is easy to imagine the final few holes playing differently. Instead, we will have to lean on knowing that Woods is close, but he’s not there yet.